Since the inception of the organisation in 2006, Facts in Action has been actively involved in working with the woman, the girl child and the handicapped known to be infected with the HIV virus. It has been offering counselling services, destigmatisation programs, awareness and other features related to HIV palliative care. The organisation has worked closely with experts from various fields who have assisted greatly with advice pertaining to the above issues. CD4 cells are a type of white blood cell that fight infection. CD4 cells move throughout the body, helping to identify and destroy germs such as bacteria and viruses. The CD4 count measures the number of CD4 cells in a sample of blood drawn by a needle from a vein in the arm of the patient. Along with other tests, the CD4 count helps tell how strong the immune system is, indicates the stage of HIV disease of the patient, guides treatment, and predicts how the disease may progress. 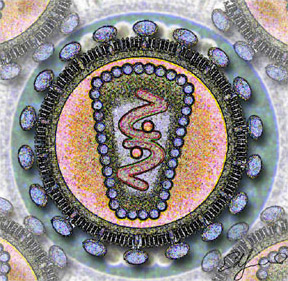 Keeping CD4 count high can reduce complications of HIV disease and extend the life of the subject infected by HIV. Although the Kenyan Government has done its best to provide Anti Retroviral Therapy (ART), they have not succeeded in providing CD4 count equipment, critical in assessment of the strength of the immune system of individuals on ART s. The organization is addressing the issue of lack of equipment and providing the technologist to run the tests on site. The closest hospital with equipment for CD4 count is the referral hospital called Kenyatta National Hospital, which is 15km away from Kiambiu. The large turnouts of patients in that infirmary has made the demand unbearable and has further reduced the standard of care provided, with the results taking up to four weeks to be ready. Transport, high cost of the test (approximately Euro 28), delay of results and payments for the accessories for collecting blood has made it difficult for the patients to access the service with ease. Facts in Action intends to share the annual statistics compiled from its laboratory with the Ministry of Health and the Kenya Medical Research Institute (KEMRI), who can use it for diagnostic comparisons, research and planning. The project co-funded by the Nando Peretti Foundation will primarily address the problem by establishing a standard CD4 laboratory within the locality, which will serve a wide area of approximately 150 square kilometers. The organization intends to place the Facscount flow cell cytometer in a central locality which in this case is in East lands area of Buruburu. The samples will be collected at various points within the locality, where antiretroviral therapy (ART) is administered at no charge. The samples will be transported in accordance to the WHO sample transportation requirements, to the main laboratory at Buruburu. All specimens will be analyzed on a daily basis and stored for a specified period of time in a freezer. Results will be dispatched electronically through facsimile machine or email and a hard copy delivered to those not having electronic communication devices. No reports will be sent by telephone. After the stipulated period of specimen storage expires, it will be collected by a registered incineration company for eventual disposal. The organization target includes HIV positive individuals who are enrolled in the government run free ART distribution clinics or any other clinics around licensed to provide the same service. It is expected to significantly improve the work of clinicians /doctors as they will be able to have a strong basis for assessment of drug efficacy and drug resistance. There will be a reduction of opportunistic infections among the HIV positive individuals brought about by knowledge of their total CD4 counts, which should not go below 355 cells per micro liter. The project will motivate the individuals by mitigating the effects of the stigma associated with the virus by helping them live near normal lives, more satisfying lives and increased self confidence. There will be an increased economic productivity by reduction of man hours lost seeking for treatment of opportunistic infections. The project will provide an affordable, timely and reliable service to the community. Facts in Action hopes to do a replica of the same project in the semiarid area of kajiado and Narok district that have only one referral hospital i.e. the Aid Village Clinic at Imbirikani, which posses a big challenge as far as distance is concerned.